Pharmacist spotlight series – Patrick Roemer - Sentry Data Systems, Inc. Pharmacist spotlight series – Patrick Roemer - Sentry Data Systems, Inc. According to the Department for Professional Employees, there were 282,000 practicing pharmacists in 2015, and employment is expected to grow by at least six percent from 2016-2026. Pharmacists play a vital role in today’s healthcare system by improving patient care and treatment outcomes. This week we’re talking with Patrick Roemer, Regional Vice President of Sales. Patrick: I am a regional vice president of sales. I focus on developing new business for Sentry. Sentry: When did you become a pharmacist? What other roles have you held? Patrick: I graduated in 2001 with a doctor of pharmacy degree. I practiced clinical pharmacy in hospitals for about five years and then transitioned into working for Apexus, which manages the 340B Prime Vendor Program for HRSA’s OPA. From there, I transitioned over to Vizient, doing pharmaceutical contracting for not-for-profit hospitals. I stayed in the not-for-profit hospital space until 2016, when I went to work for a company called BDI Pharma as the vice president of sales and GPO operations. After a short stint there I came to Sentry as a regional vice president of sales. Sentry: How do you feel your experience as a pharmacist influences your role at Sentry? Patrick: It’s an immediate way to connect with the pharmacists, technicians and leaders in hospitals that run these programs because I’ve been in their shoes. It helps me to relate to what they’re going through and helps to solve their unique problems while also providing a lot of credibility. I think our customers appreciate the actual, practical experience, and the fact that we can relate to the problems they are facing. Understanding the challenges they face within a large institution environment, the way pharmacy is practiced, the issues that arise, the politics and the stress—it all goes a long way. It helps us build a relationship and have genuine conversations. Sentry: How do you think the role and the importance of hospital pharmacists has changed, with changes in 340B and the healthcare industry overall? Patrick: With healthcare, the only constant truth is that nothing is going to stay the same. The role of the pharmacist is an increasingly important one. 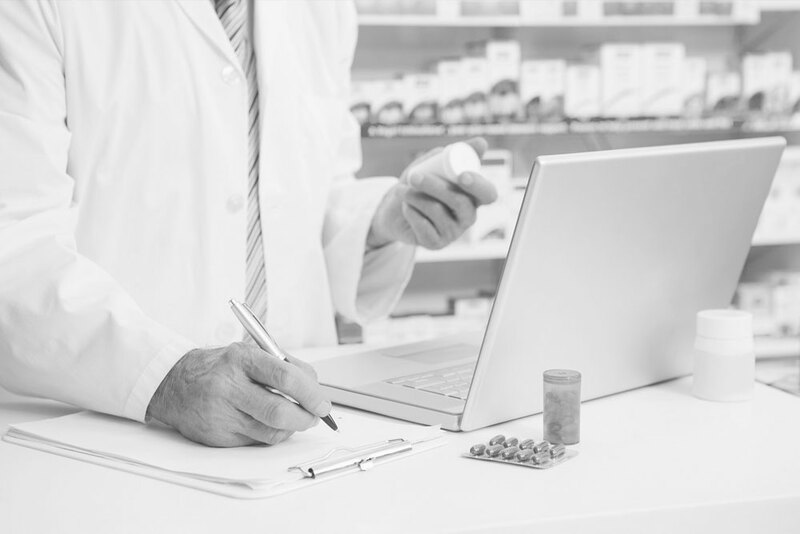 We’ve seen a real change from pharmacists working in a very centralized pharmacy, where they didn’t get out and communicate with other providers; they just filled prescriptions and reviewed orders. Now they’re on floors clinically and they’re working with multidisciplinary teams as respected partners in healthcare. When it comes to 340B, it’s increasingly important to have people who understand the drugs at a very granular level as well as the various drug distribution models and systems in these hospitals and organizations. Pharmacists play a critical role; they truly understand the drugs and analyze them based on price and outcomes because of their inside knowledge. Right now, one of the number one things that pharmacies deal with is an ever-changing budget and the challenge to do more with less. That’s something that Sentry is focused on—helping those hospitals do more.